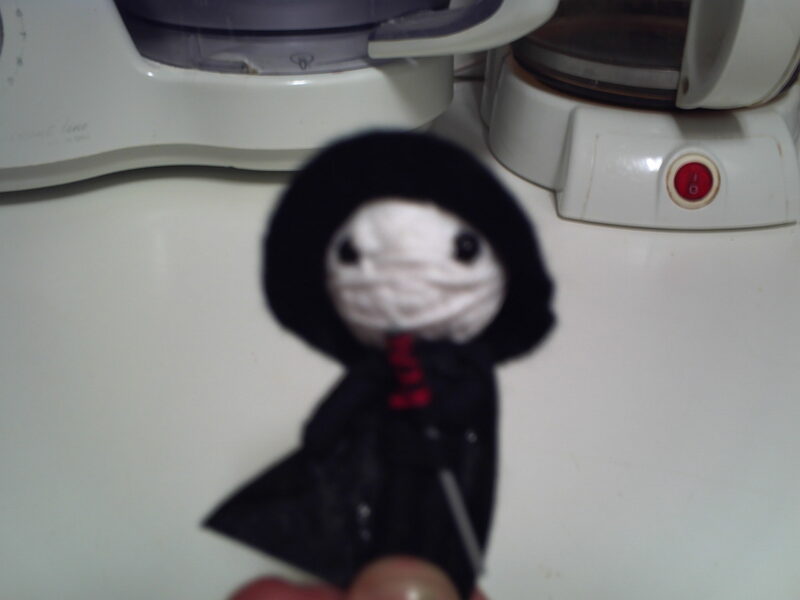 Knitwitfun's Blog | Stickning och virkning är det roligaste som finns och man kan ALDRIG ha för mycket garn! To Whom It May Concern…! What a voice… I’m in love with it! This post has absolutely nothing whatsoever to do with knitting or crochet but I kind of stumbled across a YouTube video with this guy the other day and literally fell in love with a voice. His name is Milan Stankovic and he’s a young singer from Serbia who, in 2007, finished in fourth place in a big talentshow in Serbia called Zvezde Granda and the first two songs are from that show. The third song is a brand new one and it’s called Ovo je Balkan, composed by the marvellous Goran Bregovic. Milan will represent Serbia with this song in Eurovision Song Contest the last weekend in May. Now’s the season to be RAK:ed… fa, la, la, la, la, la, la, la, la! Yesterday I was RAK:ed again, not only once but twice! This time the 2 RAK packages came from Tillie in Hungary ( RAK in Europe) and Gisela in Germany (RAK in Europe). 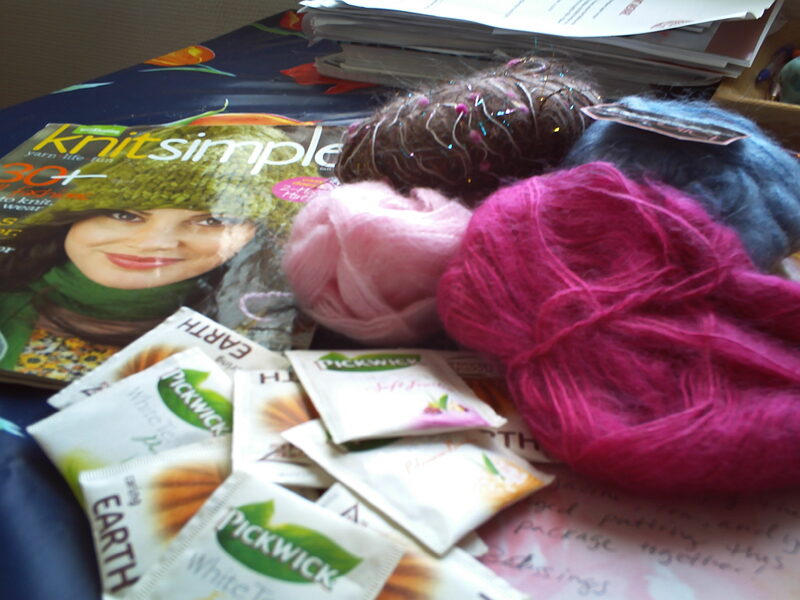 Tillie sent me 3 balls of a lovely Kid Mohair and a ball of yarn with cute little pom-poms in it, a knitting magazine and a whole bunch of tea bags. 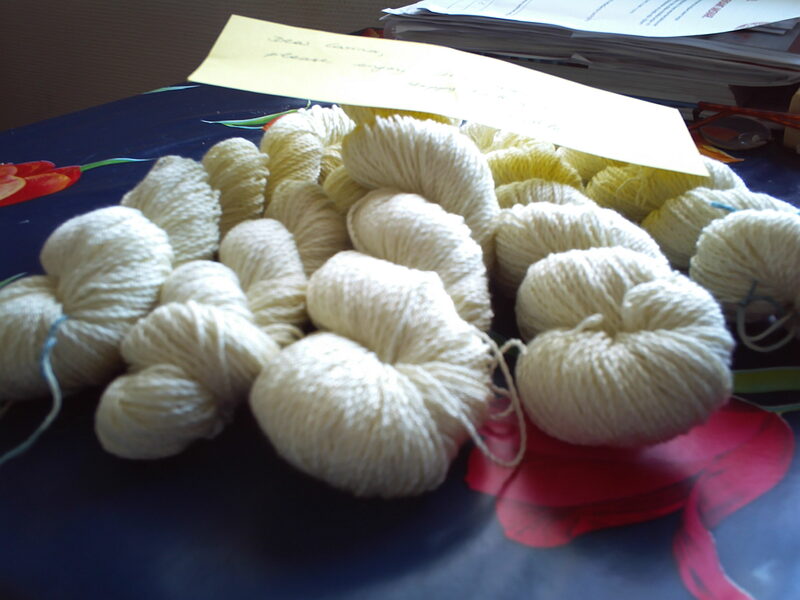 From Gisela I got 5 skeins of a very soft and rather shiny créme coloured acrylic yarn. Thanks a lot, you guys, it’s most appreciated! For your information, no, I’m NOT on a gigantic ego trip but today really is my birthday and I want to show you what fantastic kids and friends I’ve got. 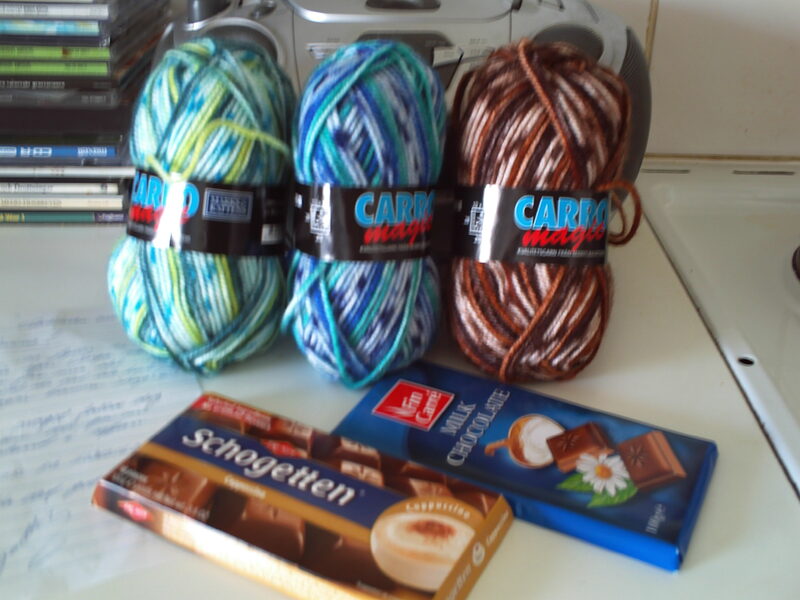 I got a package from Marie (Knittermarie in Scandinavian RAK) with a lovely letter, 3 skeins of the acrylic yarn Carro Magic from Marks & Kattens and 2 big chocolatebars which were extremely yummy and are eaten already with the help of my darling daughters. I’ve knitted with that yarn before and love it, very easy to work with. Thank you very much, Marie, I really appreciated everything! Speaking of the daughters, they gave me 5 skeins of the acrylic yarn Carolina from Marks & Kattens, a beautiful pen with my name on it, a book, an enormous note book and a very thoughtful and beautiful card…and as if that wasn’t enough, they’re also going to spoil me rotten on Saturday by cooking the dinner, baking the bread etc. etc. Thanks a million girls, I love you dearly! 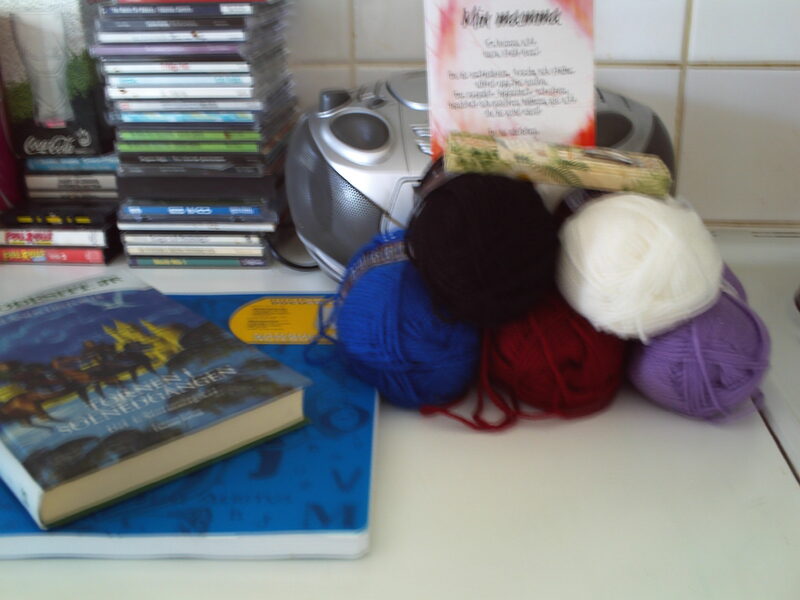 Woo-hoo, I got RAK:ed today by Ulla from Kalix (North of Sweden). 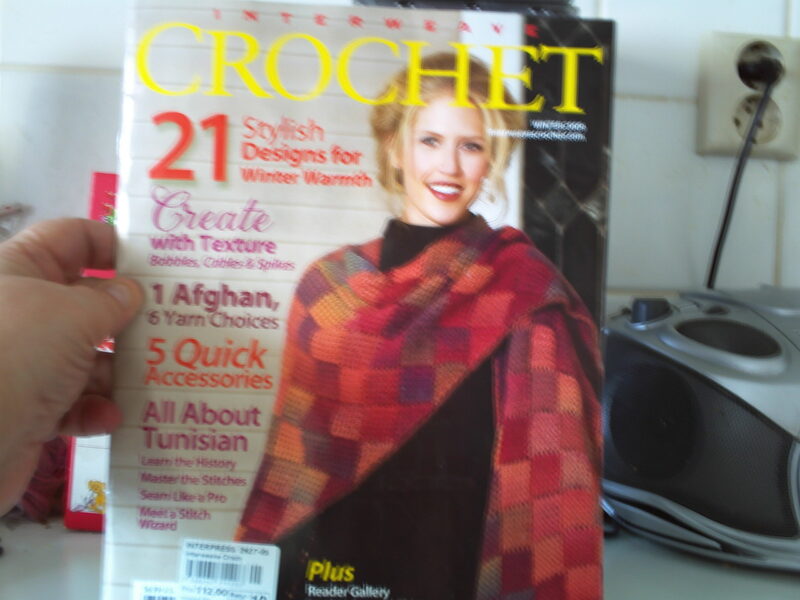 My very first issue of Interweave Crochet Magazine… I’ve always taken a fancy to their designs and gosh, which project should I pick first?! Decissions, decissions… these kind of ” problems” tickle my mind. 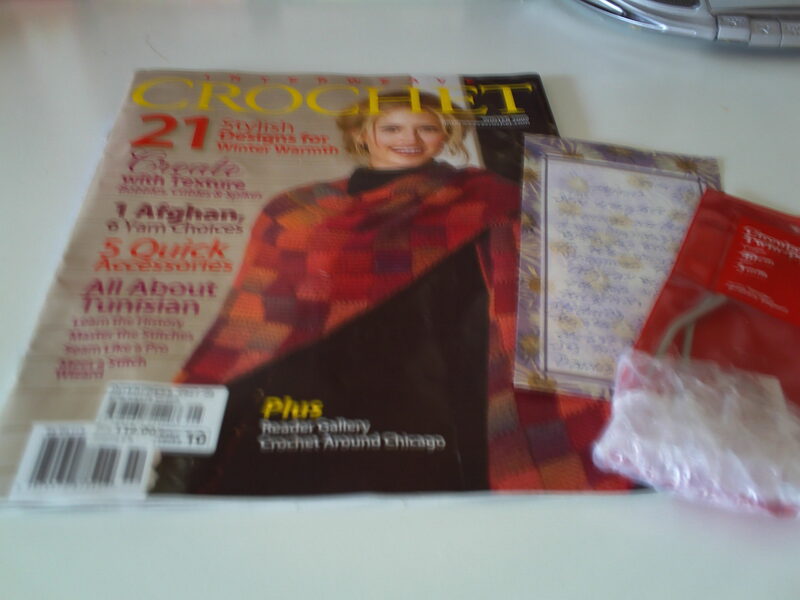 I also got a circular needle, exactly the size I needed, as a matter of fact and a very nice note from Ulla. 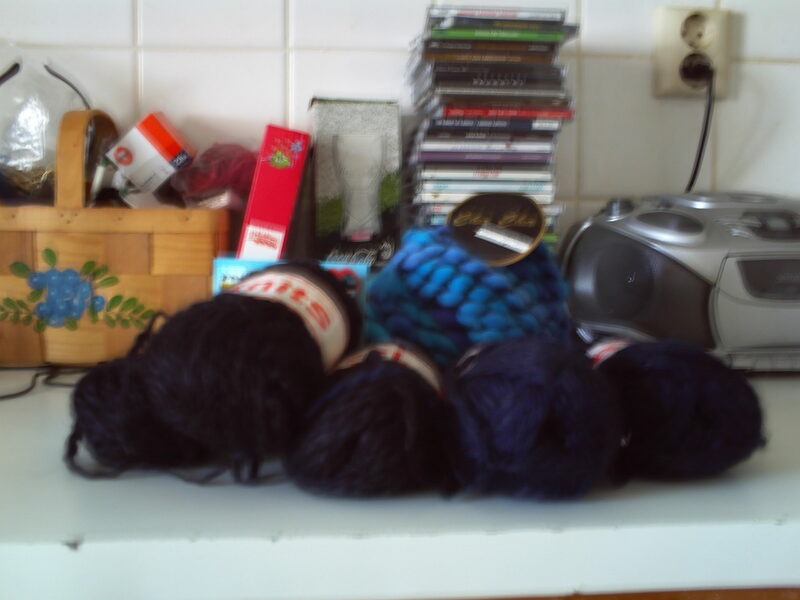 I founded Scandinavian RAK (on Ravelry) about a month ago and we’re having tons of fun already. If you’re a Ravelry member and live in Scandinavia, you should really consider joining our group! Yes folks, you heard me… from now on I’ll go back to blogging in English! Why, you might ask? 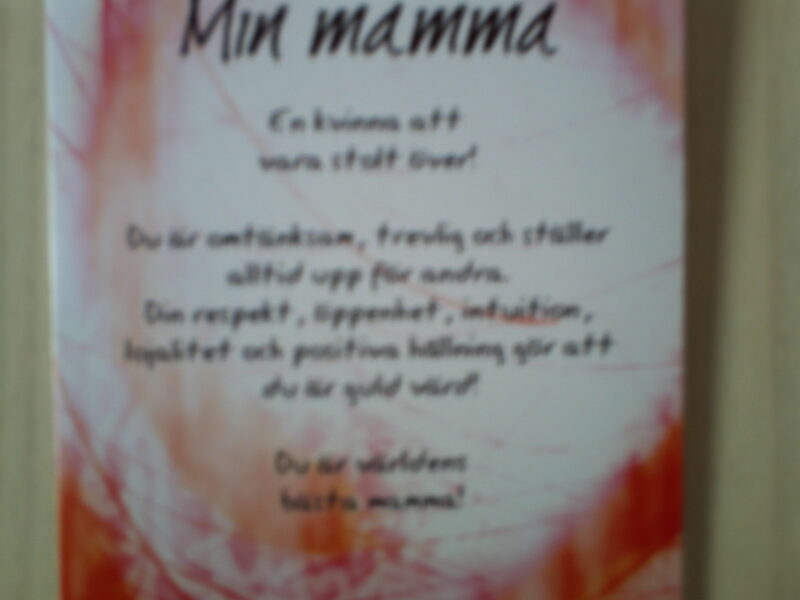 The answer is because most of my friends on line are English speaking, the Swedish on line knitting friends also know their English and besides, it makes a hell of a good opportunity to practise the English language which is so close to my heart. 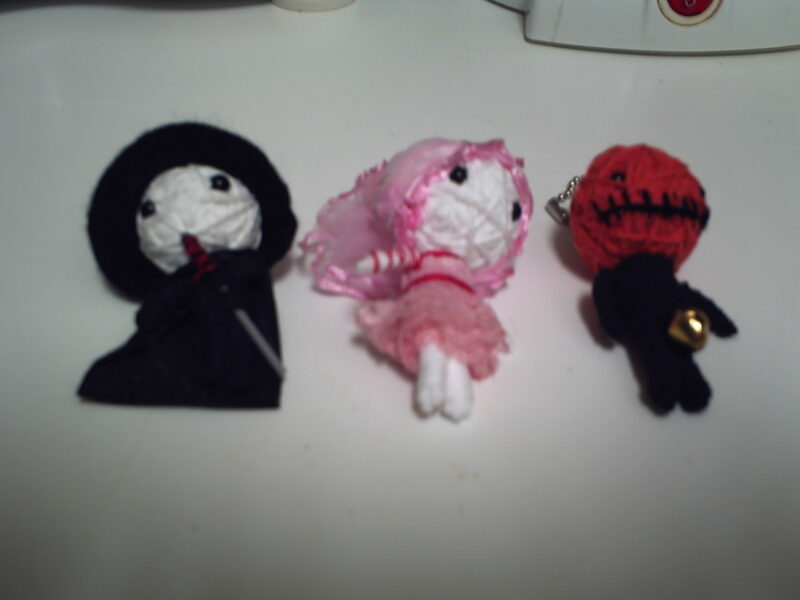 2 days ago I got a nice surprise from my friend Ceri in England, she sent 3 mini voodoo dolls, each of them serving its own purpose but not in a bad/mean way, rather in a very positive and protective way…and they are adorable! 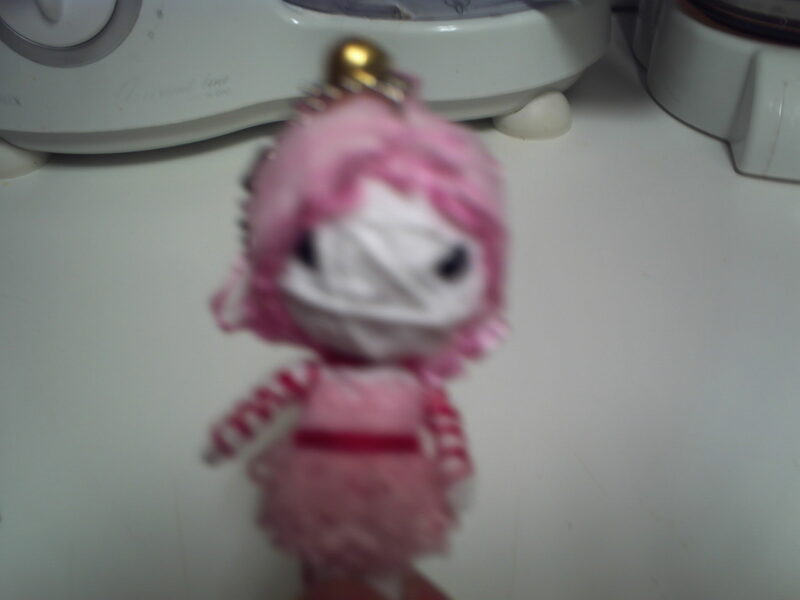 My youngest daughter got ”The Killer”, my oldest got ”Ballerina” and I got ”Mr. 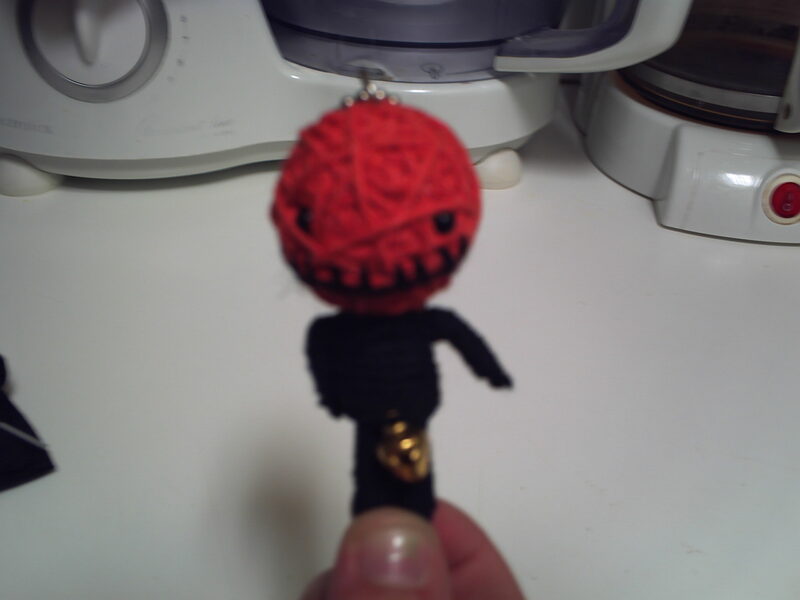 Pumpkinhead”. Sådan tur som jag har haft nu de senaste 2 veckorna har jag nog aldrig haft förut! Jag fick ett stort, fluffigt paket från Meeske (RAK in Europe). Gissa vad det var i? Nej, tänkte just att det inte skulle vara så svårt för er… garn såklart och ett vackert vykort. Det var 3 nystan, ganska kraftigt svart garn av okänd härstamning, 2 marinblå nystan av samma sort som föregående och sedan ett jättehäftigt och jättestort, multifärgat nystan av märket Cha-Cha. Stora nystanet har äldsta dottern redan paxat för och hon insisterar att jag måste absolut göra något av det till henne, de andra 5 nystanen har jag i dagsläget inga planer för ännu. För övrigt har vi en underbart vacker vinterdag här på Åland, klar blå himmel, solsken och lagom med kyla.